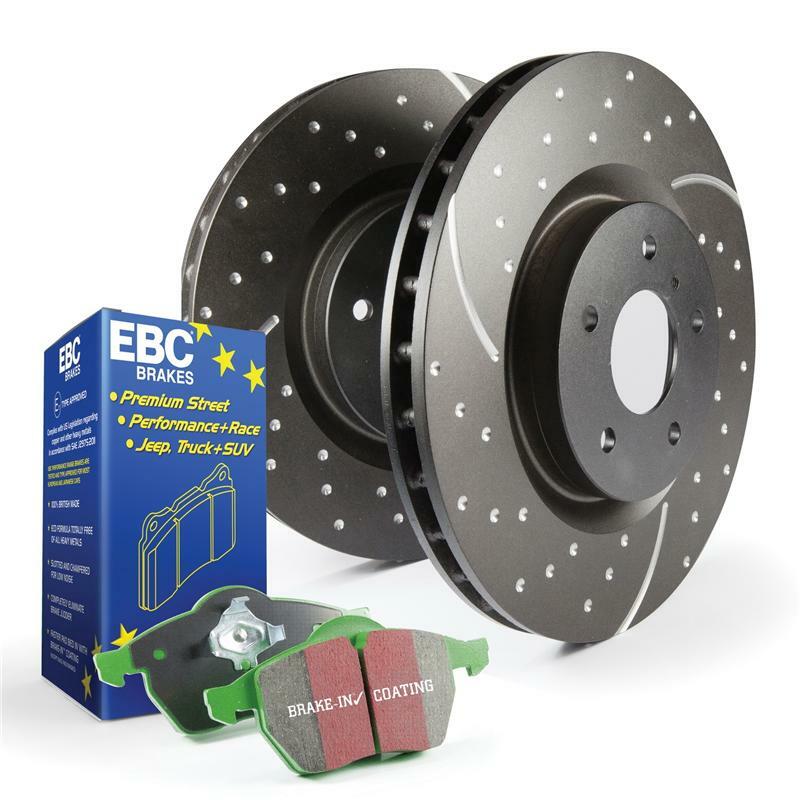 Get everything you need with this quality Greenstuff 6000 brake pad and rotor kit which includes pads, GD rotors and caliper lube. If you desire a modest brake improvement for normal speeds on any SUV or Light Truck this Kit will be your best choice. High efficiency EBC brake pads built with aramid fiber, fully shimmed, slotted and chamfered and featuring the EBC patented Brake-in™ coating for fast pad seating after install. Matched with spot drilled and wide aperture slotted sport vented rotors for cooler brakes and lifetime perfect flat and parallel pad wear finished with Geomet anti rust coating. Wider aperture slots draw cool air under braking area and remove dirt dust and debris faster.